Established by Paul Giles, a former head of Savills Regional Auction Team and leading property agent with an indisputable track record for selling high volumes of property across the UK on behalf of corporate bodies, charitable and public organisations, LPA Receivers as well as solicitors and private individuals. Whilst at Savills he headed a team selling approximately £25m worth of assets every year and is well versed in working in a fast paced environment selling a wide range of properties with lot sizes ranging from as low as £1,000 up to single lots of £5m. Paul has been a member of the RICS since 2001, the worlds leading professional status in land, real estate, infrastructure and construction. Auction Estates has been set up to provide clear, impartial and expert advice with strict rules of conduct to protect our clients, including appropriate insurance on the sale of property by Public Auction. If you're thinking of selling your property and would like a free, no obligation opinion on its suitability for auction and what it could achieve, then please do get in touch. "We very much look forward to working with you in what is a very efficient and fast moving sale process which offers both speed and certainty of sale to both buyers and sellers." We have used Auction Estates since they started and have always been impressed with their professionalism, advice and delivery of results. They are friendly happy people and great to deal with, you could say all round awesome people. I wouldn’t hesitate to recommend them to anyone. 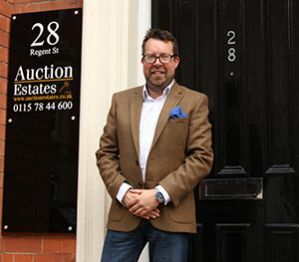 I have been working closely with Auction Estates for some time now and would highly recommend their services. They have recently sold The Old Pumping Station House at Billinghay in their September auction at a guide price of £100,000 which achieved far in excess of my expectations, raising £132,000. This maintains a 100% record on all properties I have entered. Their expertise in selling all types of property within my portfolio allows them to continuously give me the advice and guidance needed to achieve the best price possible each and every time! I am very happy to confirm how delighted my clients and I were with the result achieved on Seely Road in the recent auction. Your knowledge and understanding of the market and management of the enquiries helped ensure there was enough interest on the day to achieve a price well in excess not only of the reserve but also the expectations my clients had. The involvement of yourself as auctioneer and the advice received with respect to that was invaluable and assisted the estate in obtaining well above the reserve prices expected. You or one of your team were always available to discuss matters. The added value however, was the fact that your connected property team were able to deal with the practical issues of ensuring all relevant gas and other certificates were in place, and having the day to day contact with the tenants over repairs and other issues which were neither practicable or cost effective for us as the solicitors dealing with the administration of the estate to deal with, and provided an effective “buffer” between us and the tenants, in what was, for a lot of them a difficult situation. I would highly recommend this “ all round service” to both my colleagues in the office undertaking similar work and my clients needing assistance with their portfolios. 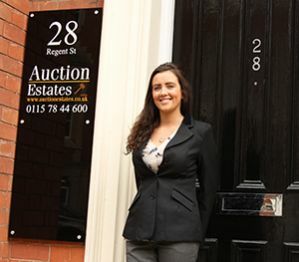 From a buyers prospective, Auction Estates offered first class service from the initial viewing through to completion. Matt was extremely helpful in endeavouring to resolve various issues prior to our purchase but his efficiency at dealing with potential stumbling blocks enabled the transaction to be completed quickly which was necessary to tie in with our personal circumstances. Paul was equally as pleasant to deal with and between them they made the whole process very straightforward and user friendly! 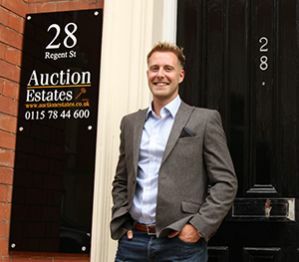 Operating within the same industry, I can only congratulate the auction estates team in offering such excellent customer service and I would have no hesitation in recommending their firm to others.